Nestled at the south end of the Maldives in the heart of the Indian Ocean, Jumeirah Dhevanafushi was created for life´s tranquil pleasures. 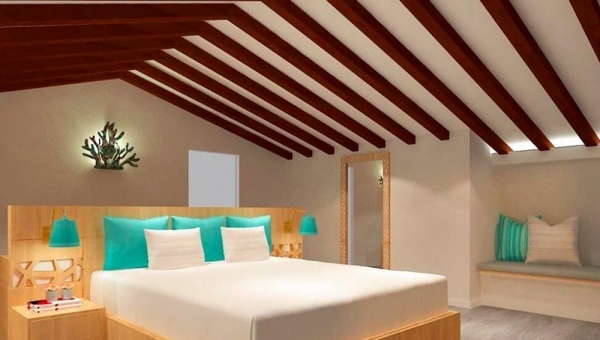 We offer an extensive list of comforts to make your stay special. Stimulate your senses in one our restaurants, at the Talise Spa, or simply reinvigorate with a swim among the coral reef. Surrounded by the exotic beauty of the Indian Ocean, our island hideaway surely boasts some of the most remote luxury to be found on earth. Located 400km from the capital Male, guests can arrive at Jumeirah Dhevanafushi by a short domestic flight or seaplane transfer. We look forward to welcoming to you in the glow of our year-round tropical climate. 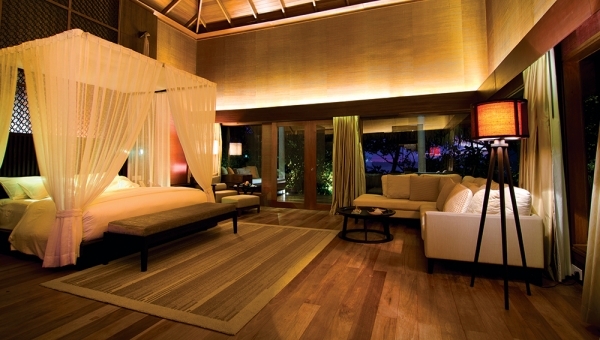 Nestled in the virtually-untouched southern Maldives, Jumeirah Dhevanafushi offers two worlds in one. The restaurants on the island offer exotic glamour while the luxurious beach accommodation is discreetly tucked away behind jewel-coloured tropical vegetation. There’s also a state-of-the-art over-water gym with incredible views across the water. By contrast, the unique over-water ‘sanctuary’ complex is located nearby in a shallow patch of iridescent turquoise water, only accessible by boat. 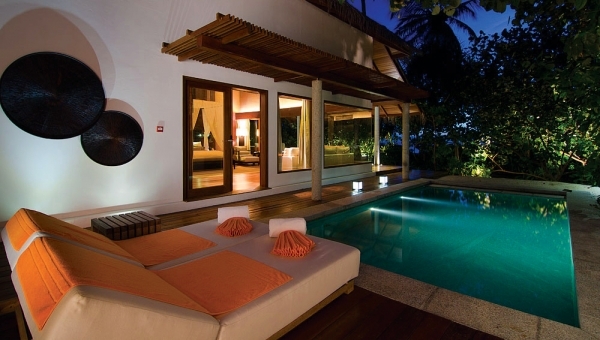 It’s the ultimate in seclusion, where the sounds of the waves will whisper you to sleep. 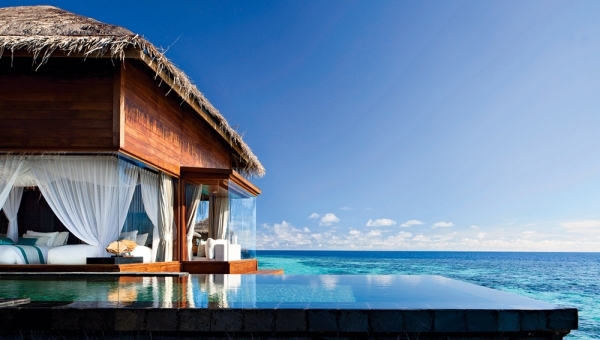 Jumeirah Dhevanafushi Resort lies south of the Maldivian archipelago. It is located in Gaafu Alifu Atoll and is estimated to be 400 km away for Male International Airport. 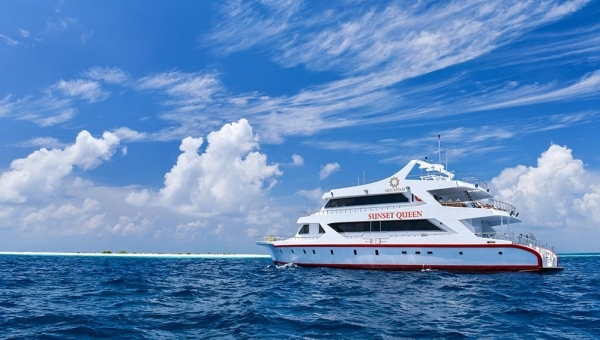 The only way to get here is via a domestic flight and thereafter a 15 minutes speedboat to Gaafu Atoll. You’ll find a host of facilities on our little patch of paradise. We´ve taken the time to anticipate the things you need most on holiday, along with the luxuries that elevate the whole experience to something truly exceptional. From our state of the art overwater gymnasium to private dining options, we´ll help you try something new. 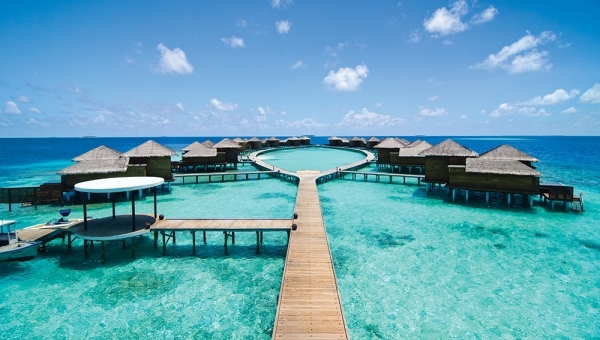 Come and experience the Maldives to the fullest. A holistic approach to well-being reconnects you with nature, with signature treatments delivered by our expert spa therapists. Romantic spaces for couples offer intimate moments of true relaxation, while our extensive spa menu offers individual treatments tailored to your needs. Whether it’s a deep tissue massage or a purifying facial, we´ll take you on a journey to meet a calmer, more relaxed you. Dining with discreet personalised service in the privacy of your own space. Enjoy a romantic meal or a celebration among friends with a private meal on our stretch of white sandy beach. 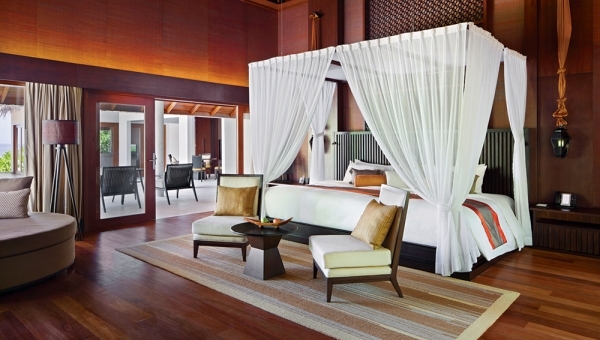 Delight your senses with the sumptuous menus of our three restaurants at Jumeirah Dhevanafushi. Every menu offers a tough choice, dishes incorporating the freshest locally sourced ingredients available. Our approach to dining is simple; we let flavour speak for itself, creating combinations as memorable as our island setting. From the succulence of the food to our welcoming hospitality, you’ll find every meal exceptional at Jumeirah Dhevanafushi. 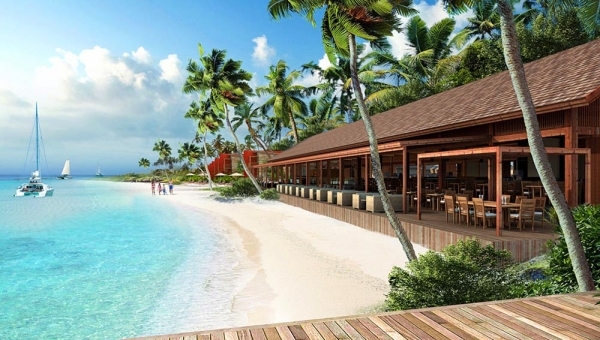 International cuisine meets the Maldivian landscape in a world of flavour at Azara. Beginning with freshly baked pastries at breakfast, this restaurant offers a full day of culinary delights. Feast from our á la carte lunch and dinner menus while you enjoy the tranquil beauty of the beach. The Indian Ocean lapping at the shore only adds to the restaurant´s charm. he luxury of Talise Spa finds a particularly tranquil setting at Jumeirah Dhevanafushi, where its signature spa experience overlooks the Maldivian coastline. Whether it’s a deep tissue massage or a purifying facial, we´ll take you on a journey to meet a calmer, more relaxed you. Pre-book your treatments before your arrival and receive a 20% discount on all treatments. Before you visit us you may wish to view our information on Talise Spa Etiquette.